Did you see that the schedule and prizes for Christmas in July were announced earlier today? No? Well then go take a look and I'll wait. So what have I been working on other than holiday items in the 96 degree heat we've had in the past few days? Llamalicious llamas, to be exact. Jessica and I agreed to a private swap a couple months ago, and I'm sad to say that I really played the moving card, and have taken much longer with her mini than I should have. So before I'm allowed to do anything else I told myself I had to finish that project! And I wanted to make it extra spectacular for her being so patient with me. So I finally found my Photoshop CD and reinstalled it on my new computer. But um, I should probably take better pictures from the get-go, yes? Pinky promise I'm working on it. Since she hasn't seen it yet, I'm only showing tiny sneak peeks, but I'll do the full reveal as soon as she receives it. I looooove it. Seriously. 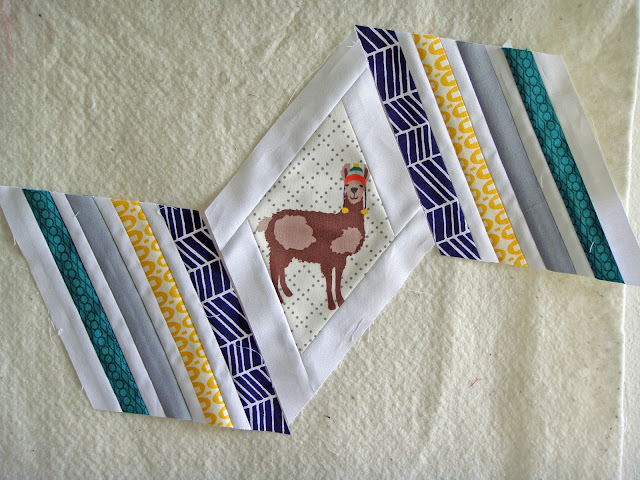 I might have to make another and turn it into a full Llamalicious quilt. Seriously, hipster llamas? 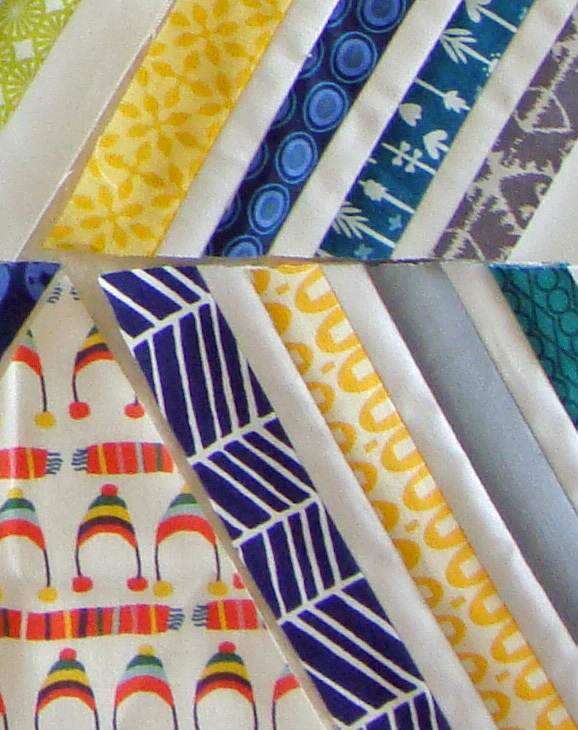 My quilting life is complete. Do you have a novelty obsession thing like this that you'd love to see printed on fabric? This is so wonderful. Mainly because the llamas are wearing knitted hipster hats that (in my mind) are totally made out of alpaca/llama fur. So it's pretty much like cutting your hair, dyeing it, braiding it, and wearing it as a hat! Awesome! Love the llamas. They look fun cant wait too see how the project works out. Oh my goodness, those llamas are SO CUTE! Hooray for teaching classes! That's great!! And I really can't wait for the llamas...I am sending your pouch out tomorrow, I don't even have an excuse like moving as to why it took me so long!! Ack...sorry. TGIF and a nap please. Gotta love a successful swap! Top 10 Finalist and a WIP! Christmas in July: Schedule and PRIZES!